Here Davide Tomat, musician, composer, producer and little fool man falling on to the ground with 01-06JUNE, a concept album from a cosmic sound designer, electronic immersive that fluctuate from Vangelis to Radiohead. TOMAT :01-06JUNE is may be destined to become a curiosity that elevates itself to cult favorite in years to come. It’s far too early to tell now. All we can do is sit back and enjoy a genuinely fascinating debut from a fairly exciting new artist who’s provided us with some conversation-starting music that’s pretty damn good. Tomat remains a real ambient composing talent. One of my picks of 2012 so far – a high recommendation from me. Few elements (voice, a monophonic synthesizer and guitar), but many ideas in the head of David Tomat. It ‘s always a good thing when a member of a band is able by itself to create a fantastic album only with their own ideas and this album is a great example of this. These are Davide Tomat limited only by your imagination. A man in command, undisputed master of conceptual and orchestral textures, a heroic one-man band of the past, devoted body and soul to a futuristic electronic crafts. Electronic rears, evaporates and expands, capturing intermittent signals of frequencies hypnotic or lanciaindo Seefelt in the space mission and then the material is molded in rubbery funk, ambient drone in vischisità, in turning techno-pop and grit dubstep. A nice bed to dive into that 90% of items and 10% by a monophonic synthesizer (as well as flashes of guitar). Try to close your eyes and stand listening, it will be like an astral journey. A fascinating journey, hypnotic. A hard really interesting to discover you listen. 01-06JUNE is an absolute must, a great album, expertly arranged and composed intelligently from start to finish. A potential contender for album of the year. Debut LP that synth soundscapes composed of 1, 1 guitar and layers and layers of voices, to create an ethereal and almost bibilica proportions miraculous. Incredible! 01-06JUNE album is a heady mixture as a layer cake of tracks that mix, echo, vibrate together in a joyful polyphony. Because once you reach the end of this journey through ethereal soundscapes, we can only say that it was worth it. 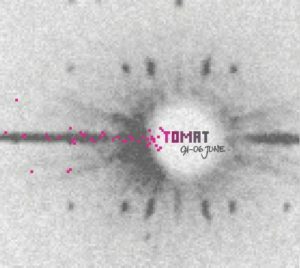 With a prodigious miracle, Tomat can convert istantani melodic sound experiments in a dangerously charming beauty. No one knows exactly how, but a divine light illuminates this disc. 01-06JUNE opens up new avenues of research. June 1 to 6 is a musical offering diverse and dynamic, in which the aesthetic audacity not only ensures a constant renewal of interest, but also gives the security to be a very important work artistically. Listening to the album in full concentration, all spreads, all lights, everything vibrates, as if the body loses its physical qualities and to range as a circle around the water merging with resto.Come there was a sun near us, as if we ourselves were part of that sun, and believe me, we are!